Thought about securing a Nui Nua vacation package? It's easy with Expedia, and you'll be able to buy a few fancy meals or souvenirs for your buddies back home with the cash you save. Choose from more than 400 partner airlines and 321,000 worldwide properties via our enormous database of accommodations and flights. Fly with who you want, stay wherever you want — now that's the perfect vacation! It's nice to just stroll around the streets when you're somewhere new, but sometimes it's a wise idea to form a plan. Grab your travel program — we have lots of wonderful ideas for your impending Nui Nua vacation. It doesn't matter how you like to travel, Expedia can help you locate the top attractions and the most thrilling activities. Just pack your bag and turn up! Touching down at Tan Son Nhat International Airport (SGN)? It's located 40 miles (64 km) northwest of the heart of this neighborhood. Time to claim those bags and get your trip to Nui Nua rolling! 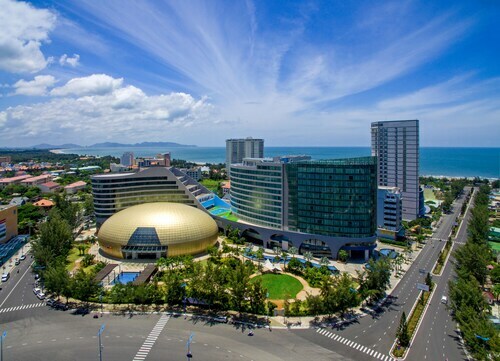 Offering direct access to the beach, this Vung Tau hotel is in the city center and within 2 mi (3 km) of Back Beach, Linh Son Co Tu, and Doi Con Heo. Front Beach and Tuong Dai Chua Kito Vua are also within 3 mi (5 km). Nestled on the beach, this Vung Tau hotel is within 3 mi (5 km) of Back Beach, Linh Son Co Tu, and Lang Co Ong. Lam Son Stadium and Vung Tau Lighthouse are also within 6 mi (10 km). 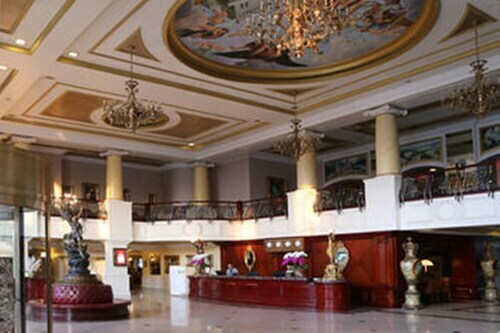 Nestled on the beach, this Vung Tau hotel is within 1 mi (2 km) of Front Beach and Back Beach. Doi Con Heo and Linh Son Co Tu are also within 2 mi (3 km). Situated by the sea, this luxury hotel is within 2 mi (3 km) of Back Beach, Lang Co Ong, and Linh Son Co Tu. Front Beach and Bảo tàng Vũ khí cổ are also within 2 mi (3 km). 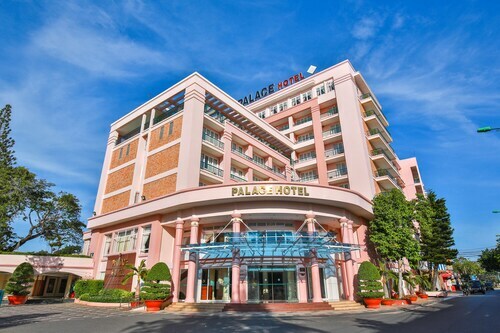 Located in the heart of Vung Tau, this hotel is 0.1 mi (0.1 km) from Front Beach and 1.3 mi (2 km) from Back Beach. Lang Co Ong and Linh Son Co Tu are also within 15 minutes. 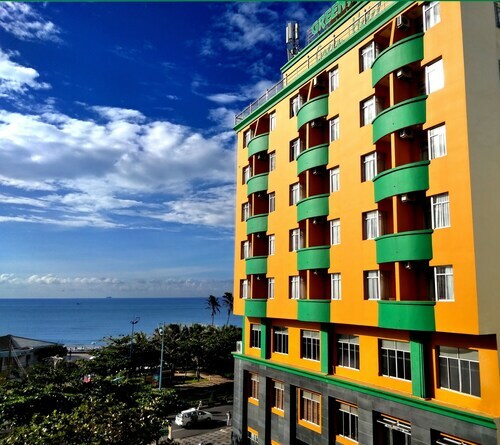 Located in the heart of Vung Tau, this hotel is within 2 mi (3 km) of Back Beach, Linh Son Co Tu, and Lang Co Ong. Doi Con Heo and Bảo tàng Vũ khí cổ are also within 2 mi (3 km). Situated near the beach, this hotel is within 1 mi (2 km) of Linh Son Co Tu and Back Beach. Doi Con Heo and Lang Co Ong are also within 1 mi (2 km). 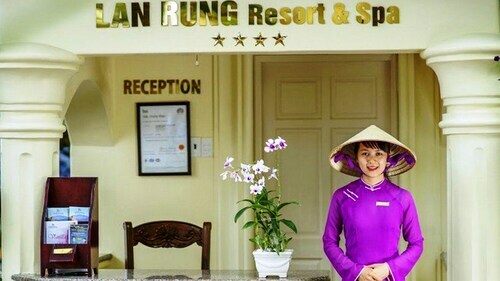 Situated in Vung Tau, this hotel is within 3 mi (5 km) of Back Beach, Lang Co Ong, and Linh Son Co Tu. Doi Con Heo and Front Beach are also within 3 mi (5 km).